Gain a thorough understanding of physical education (PE) in schools and wider communities with our new Physical Education and School Sport degree. We'll develop your teaching, learning and leadership skills, enabling you to become a highly employable expert on PE and school sport. This PE and school sport teacher training course encompasses the contemporary place and role of school-based physical education, activity, and health and sport. Physical education continues to be an important part of Government agendas, so with this in mind, you'll learn relevant and up-to-date techniques and information. Linked and mapped to the national curriculum for physical education, you'll be taught the physical activities and up-to-date information that teachers within this sector require. This course will prepare you to apply for PGCE Physical Education courses in Secondary and Primary Education. It won’t just be about sport, though; you'll be looking at different aspects of health and people at opposite ends of the health spectrum. It's a chance for you to gain the knowledge and skills needed to negotiate different challenges. To help build these skills, you'll go on placements, working face-to-face and getting first-hand experience, something which will enhance your future employability. Mapped to the course are additional awards, where you can support teachers in a range of extra-curricular opportunities, including working with school sports teams. All of our physical education and sport courses will provide additional, employability-based qualifications at the same time as your course, enhancing your subject knowledge and giving you valuable hands-on experience. 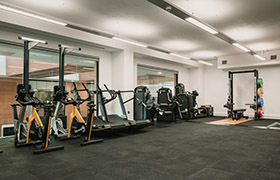 By taking this course, you’ll be studying at our recently extended £71 million campus in Edgbaston, Birmingham, which will contain a state-of-the-art laboratory, sports therapy rooms, cutting-edge resources and a designated sports area. Placement experience - you'll gain vital, first-hand experience of physical education by undertaking placements, typically in schools, where you can build up your knowledge and enhance your attributes. Job opportunities - benefit from our staff expertise and networks to help find you work experience and opportunities. Two PE and School Sport students have secured work with the FA since starting the course. Up-to-date course content - the course is mapped to the national curriculum of physical education, ensuring that what you learn mirrors what the sector needs. Inspiring children - there will be a host of practical-based teamwork and activities, ensuring you learn by doing. We regularly hold sports festivals for students from all year groups to host with local school children, to provide you with hands-on experience right from the start of the course. Funding support - we work closely with National Governing Bodies to be able to fund any additional qualifications you may want to achieve during your time here, such as the L1/2 teachers swim award. Industry leaders - you'll receive talks from guest lecturers who work within the sector and can provide relevant, up-to-date advice. Specialise in your area - if you’re interested in physical education at primary school level, you can learn the exercises and information that children of that age require. £71 million campus - we have recently invested an additional £41 million into our £30 million City South campus complete with new, state-of-the-art facilities and cutting-edge resources and equipment. The Association for Physical Education (AfPE) Professional Development Board has awarded approved status to this degree programme. A Level: To include one subject in Biology / Human Biology / Chemistry / Physics / Physical Education / Applied Science / Psychology / Social Science with minimum Grade C. A typical offer would be BBC. General Studies and Critical Thinking not accepted. 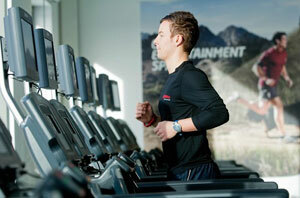 Access to HE: Sport or Science related pathway with 60 credits overall and 45 credits at level 3. A minimum of 24 Level 3 credits must be at distinction. Must include Mathematics, Sciences and English Language at GCSE Grade 4. BTEC Extended Diploma: in Sport, Physical Education, Sport and Exercise Science, or equivalents, DMM (no other BTEC Extended Diplomas are acceptable). BTEC Diploma: in Sport, Physical Education, Sport and Exercise Science, or equivalents, D*D* (no other BTEC Extended Diplomas are acceptable). In addition, successful candidates will be required to obtain an Enhanced Disclosure and Barring Service (DBS) clearance via the Faculty prior to enrolling onto this course. This module will provide you with a core foundation of knowledge in Physical Education (PE) and School Sport. It is intended that you will be aware of how PE differs to School Sport, but also how they can be interlinked. This module will provide an understanding of how children develop through a physical, emotional, health and well-being perspective. Students will learn about how skill and ability levels can differ between children, and factors which influence development of these. Within this module students will learn about the reasons for physical activity promotion and the barriers to physical activity participation. Students will identify the recommended daily guidelines for physical activity, whilst exploring health and social strategies to improve lifestyle through facilitating physical activity behaviours. The module aims to assist you in gaining a more critical understanding of the research of others and to act as a complement to other second year modules you will be studying. It will also directly prepare you for undertaking your own research at Level 6. To realise these aims, you will have the opportunity to develop more the complex statistical skills that will be required to enhance your understanding in other modules that form part of your degree programme and prepare you for designing your own research. Within this module students will learn about a range of issues surrounding PE and school sport. They will identify the key principles of what helps students engage in PE and sport, and what local, national and international initiatives are available to help promote a physical active and healthy lifestyle. This module aims to develop and utilise pedagogical skills in a real world setting, whilst providing an opportunity to critically develop learning and experience application of subject knowledge and the national curriculum for PE will be key to the successful completion of this work. This module will also provide an opportunity for to develop essential employability attributes (e.g. interpersonal skills) which will also offer ideal preparation for the Level 6 PE and School Sport work placement module. Within this module students will learn about a range of psychological and theoretical frameworks which support physical activity behaviours. Key principles promoting a healthy and physically active lifestyle from a psychological and practical perspective will be taught. Within this module students will learn about a range of technology and equipment that supports physical activity behaviours. Students will identify the key principles of objectively measuring and promoting a healthy and physically active lifestyle from a technological perspective. This problem-based module enables students to develop, utilise and further apply pedagogical skills in a real world setting. The module will provide an opportunity for students to critically develop their learning and experience, as well as work on a live piece of investigation by agreement with the placement provider. Application of subject knowledge and the national curriculum for PE will be key to the successful completion of this work. The physical education and school sport course will be a mix of work-based placements, enabling you to build your knowledge and gain first-hand experience, and assessments. After completing this course, you will have built a sound foundation of knowledge which will contribute towards applying for a PGCE. You can gain full teacher status with a postgraduate qualification, or in schools via School Centred Initial Teacher Training (SCITT) and Graduate Teacher Programme (GTP) schemes. Within this course there are additional qualifications which are accredited by the Association for Physical Education (afPE) and Sports Leaders UK. The only physical education subject association in the UK, afPE is committed to supporting the delivery of physical education in schools and in the wider community. "Our pupils visited Birmingham City University for a “Get Active” event with students on the Physical Education and School Sport course. I witnessed some of our most withdrawn pupils engaging with, and enjoying, sports. The students did a brilliant job of making sport fun and accessible for all of the pupils as well as presenting themselves as approachable. After the event, pupils told me that they had had a really great time and that they wanted to do it all over again." Physical education and conditioning continue to be a global concern, so this course ensures you are given the relevant, up-to-date information you require to enter employment. Upon graduating, the ultimate goal will be to enter the PE and school sport environment, promoting lifelong physical activity and healthy active lifestyles. You can also progress on to a PGCE or a Masters degree, furthering your skills. Placements play a significant role in this course, as it is important you build up your experience and knowledge of working within the sector. You'll work in schools on placements, gaining first-hand exposure to the sector and how teachers create, carry out and build on different sports-related activities. The course is designed to prepare you for teaching, either at primary or secondary level, or externally in after-school clubs or teams. You could progress into studying your PGCE or another teaching-based qualification, and become a physical education teacher. Irfan was a physical education teacher for seven years. Throughout his career, he has worked in primary and secondary schools, and was a curriculum coordinator for P.E at key stage 5 level. In addition to this, Irfan gained experience as a head of department and has delivered a range of INSET teacher training sessions. Prior to this, Irfan worked in schools as part of the extended schools programme, and has experience of organising high-profile school and community charity events. He has a diverse range of coaching qualifications and also has experience of teaching internationally in South Africa. Irfan is now the Course Leader for Physical Education and School Sport. After gaining Qualified Teacher Status (QTS) in Physical Education, Rachel had a long and rewarding career as a Head of a Secondary School PE Department. Later in her career, Rachel took on a whole-school role as Key Stage 5 Coordinator, which also involved running a Science department. Rachel’s experience has also incorporated teaching and advising Primary Schools. 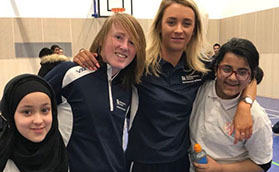 Prior to joining the team at Birmingham City University, Rachel taught on the Physical Education degree course at The University of Worcester. Rachel is currently pursuing a Doctorate in Education. Craig joined BCU after 10 years teaching physical education at both primary and secondary level. During this time Craig gained experience as a head of department, educational visit coordinator and led a whole school initiative of mentoring SEN pupils from low socioeconomic backgrounds. Whilst teaching he studied part time to gain a Masters in Teaching and Learning and has since delivered a range of INSET teacher training sessions from his studies.